2016 will be the Year of the Monkey according to Chinese zodiac. The Year of the Monkey will start from Feb. 8, 2016 (Chinese New Year) and last to Jan. 27, 2017. We mentioned another Chinese calendar model previously from Chopard. Please click the link for the related article. 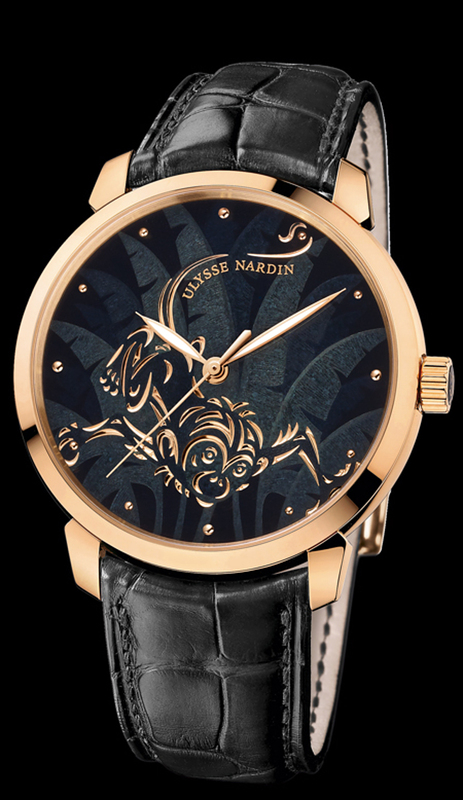 The newest member of the Classico Collection of Ulysse Nardin comes with a 40mm diameter, 18K pink gold case. The case sports double sapphire crystals for both front and back with a rating of WR50M. Undoubtedly, the most striking part of the watch is it's dial. 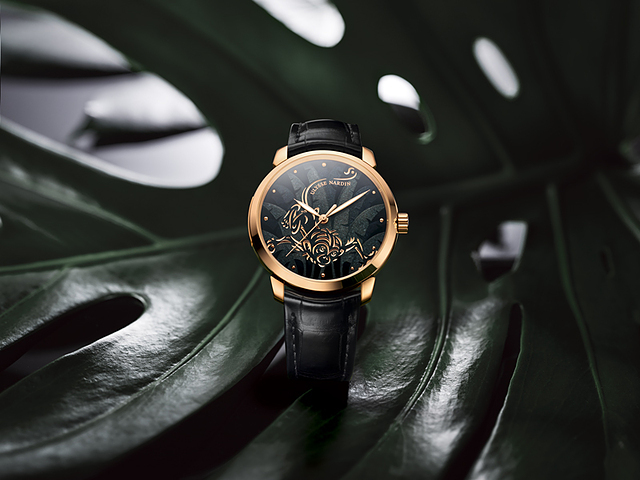 The dial features palm tree leaves background and a champleve style monkey figure. The watch is powered with the automatic Caliber Re. UN-815. COSC movement offers 42h power reserve when fully wound. 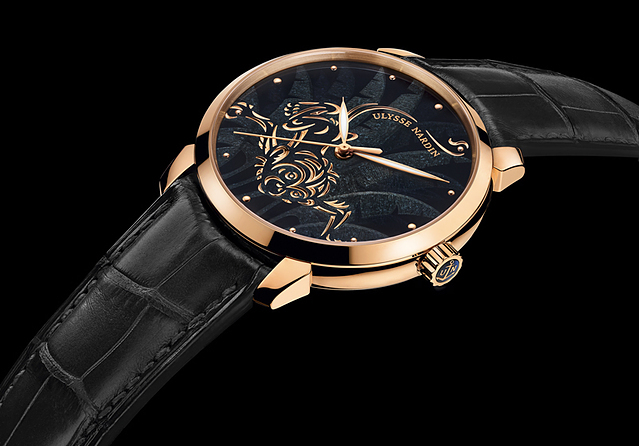 Ulysse Nardin Classico Year of the Monkey comes on a black alligator strap with a 18K pink gold clasp. The beautiful time piece is limited to 88 pieces only. We believe there will be more brands launching Year of the Monkey models, so please stay tune for more.